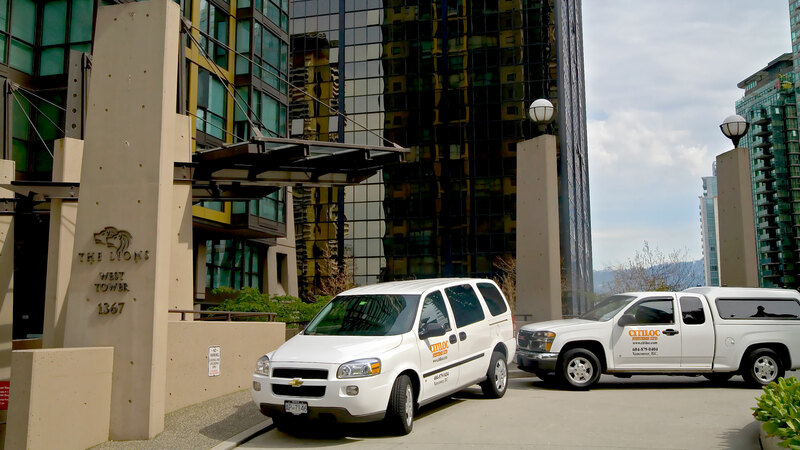 Our mobile fleet of Service technicians respond quickly when a service call is requested. Citiloc provides practical and proven systems and services while always striving to exceed our customer’s security expectations. We take pride in acting as expert advisors to our clients and bringing innovation and integrity to everything we do. Each project is analyzed in-depth to uncover potential risks and threats. Our extensive knowledge of physical locking and door hardware becomes integrated into the final electronic security solution. Contact us for more information by phone (604-879-0404) or email (service@citiloc.com).